AMFORHT has a range of hospitality schools, academic institutions and various professionals in the hospitality industry as members. AMFORHT is granted a special consultative status by the United Nations. Since 2018, the Foundation for Environmental Education (FEE, the organisation administering the Green Key programme) has been a member of AMFORHT. AMFORHT celebrated its 50th anniversary at World Forum event and General Assembly on 15-16 March 2019 in Paris, France. 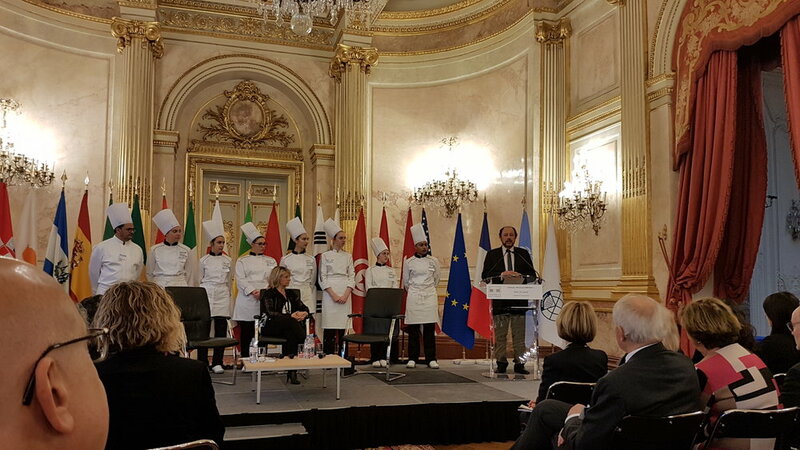 The celebration was honoured through participation of ministers from France and other countries, senior and honorary World Tourism Organization representatives, international and national hotel associations, international hotel chains as well as a number of hospitality schools and academic institutions. The Green Key International Director, Finn Bolding Thomsen, attended the meetings representing FEE. During both the World Forum event and at the General Assembly of AMFORHT he gave presentations about FEE and the Green Key programme. Finn Bolding Thomsen also presented a planned cooperation with a hospitality school in Switzerland, where FEE’s Eco-Campus programme for universities will be adapted to include hospitality schools, so that the students at hospitality schools not only can learn about sustainability as part of the curriculum but also work with it in practice by upgrading the sustainability standards at the hospitality schools in cooperation with the teachers and administrative staff. Finn Bolding Thomsen continues: “At the AMFORHT events, we received good support for our plans of working with hospitality schools on supporting their sustainability curriculum and try the learning in practice at the schools”.